JOHN BOLTON, FORMER US AMBASSADOR TO UN: "If the book is accurate ... it is some of the most cold-blooded, cynical, grotesquely political manipulation of national security that I think we've ever seen." "The notion that a President would say that in that kind of callous and just utterly robotic way, I think is yet further indication that Obama is simply not qualified to be Commander-in-Chief," Bolton added. 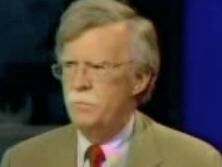 "Obama is divorced from the American people, I think he is unemphatic, I think he is 'show that' and I think the American people have the wit to know what that means," Bolton concluded.